Mothers in the United States have choices when it comes to childbirth. While the majority of moms still decide to give birth in a hospital, the prevalence of home births has risen significantly in recent years. According to the CDC, there was a 20% rise in home births between 2004 and 2008. 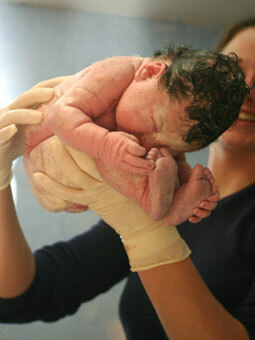 Some homebirths are attended by lay midwives and some are attended by obstetricians or other doctors. Still, the American College of Obstetricians and Gynecology is warning mothers that home births can be unsafe. Some reasons why home births may be unsafe include the lack of emergency equipment and the fact that the professionals attending the birth may not have adequate training. If you or your child have been hurt in a home birth and have pursued a legal recovery, please leave a comment and let others know your story. Women have the choice about where to give birth and they also have the choice to pursue justice when they are harmed. Your story may provide courage to other women to do just that. Who Will Answer Questions About My Child’s Birth Injury? What Happens When Gestational Diabetes Goes Undetected?